My gardening book to-be-read pile keeps getting larger, but one item that jumped to the top of the heap recently (not only because it was a library book and had to be returned on time) was Eric Toensmeier’s Perennial Vegetables. It’s a fascinating look at a category of food plants we often miss while we are putting in our fruit trees and shrubs, and our annually-planted kale and tomatoes (both of which can be short-lived perennials given the right variety and/or climate). And now I want to grow… well, not all of the plants in the book, since many of them have limiting factors, for example that they can only be grown in climates more tropical than Maryland (including, alas, the pepino melon, but I have transplants that will be sizable by mid-May, so I’ll keep hoping), but more than I’m growing now. Walking Onion, of which I have no picture, and while we’re on alliums, my garlic might as well be considered perennial since I never manage to dig it all up so it springs up in every bed it’s been planted in. And I’ve started sea kale this year, and (rather unsuccessfully so far due to interfering squirrels) cow cabbage. Some other plants I’ve grown are perennial in warmer climates, for example sweet potato, hyacinth bean, and both Malabar and New Zealand “spinach.” In fact, some plants that die here when it gets cold are invasive pests in warm climates; Toensmeier either does not include these or explains carefully and with adequate warnings why he is making an exception. 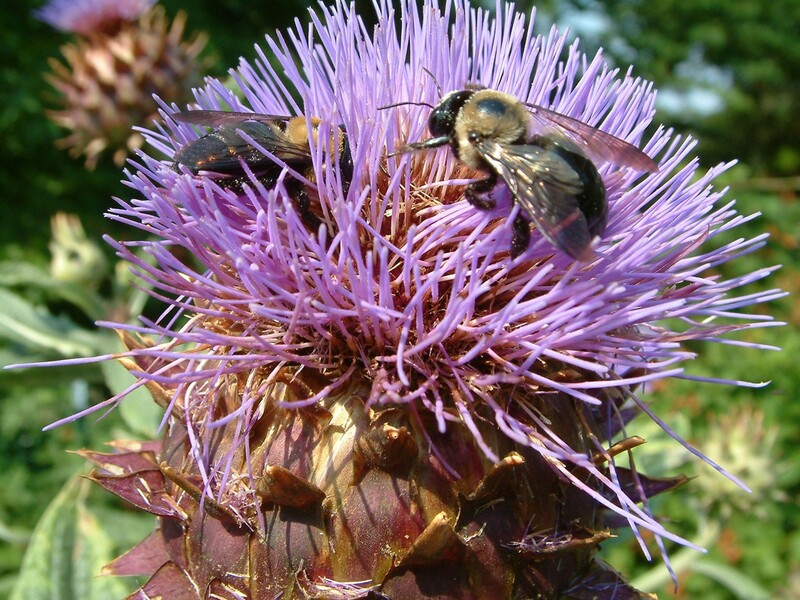 He also makes distinctions between truly invasive plants and those that are aggressive within a garden but don’t spread into the wild if you keep after them (running bamboo is an example). I am tempted by Chinese artichoke, a spreading plant grown for its edible tubers, but then I see its Latin name is Stachys affinis (Stachys byzantina, lamb’s ear, is a soft, furry bane of ornamental gardens, very difficult to get rid of once you have it, and all Stachys are part of the mint family) and it is described as forming large colonies. So only if I have a place I want smothered in ground cover, I guess. However, I think I will try wintering over some of the scorzonera we are growing in the demo garden this year (shouldn’t speak yet since we only planted seeds Thursday, but I hope it will succeed!). And perhaps find a suitable microclimate to perennialize scarlet runner beans (Toensmeier claims them hardy to zone 7 with lots of mulch). And groundnut would be fun to try, given a large enough trellis (4-8 foot vines). 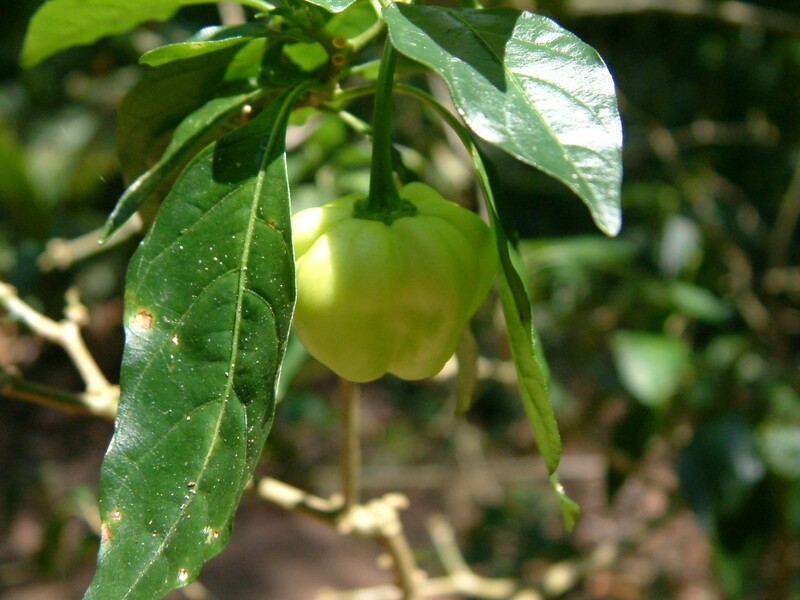 Here’s one more picture, again from a vacation, this time to Belize, where we saw this pepper growing on a small tree. Peppers are perennial, yes! But not in Maryland, sorry. Eric's books is great, but i agree it is a little but of a teaser. I have been working on propagating perennial vegetables is western Washington (state) and narrowing it down to what does well here. Our nursery is at http://www.terracommons.us and click on 'nursery'. Good luck with the perennials! Thanks for the link, Michael – fantastic website. I'll try to visit the nursery when I'm next in that part of the country. Thank you for sharing your experience. I was interested to read your post, as I liked Eric's book too and have tried a few things. My scorzonera have survived their second winter outside. I planted ground nut and Jerusalem artichokes in large containers for greater ease of harvest (the ground nut next to a tree to serve as support), and harvested a good amount of the artichokes this week, but have not dug up the ground nuts yet so don't know the results. 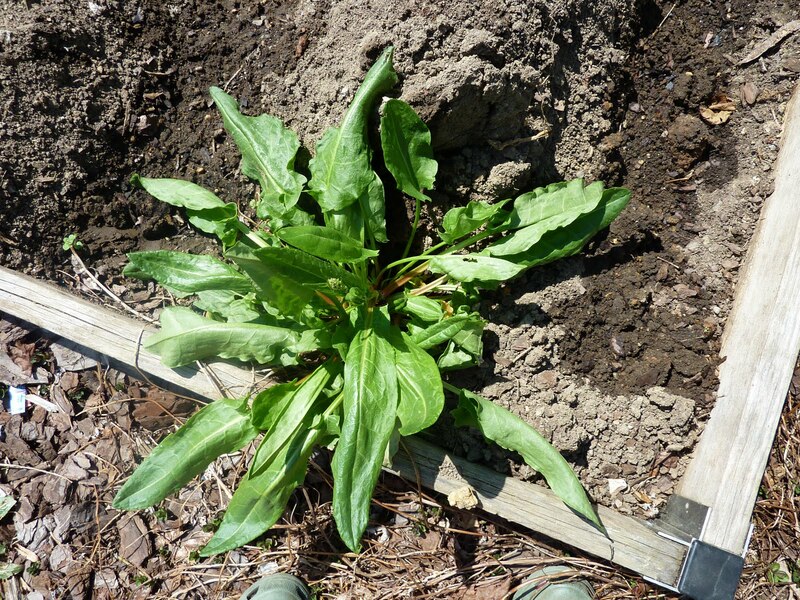 I am trying horseradish in an area where I don't mind their spreading, as the young leaves are edible. I took my Malabar and New Zealand spinach in for the winter, and they are faring well, even gave me a few greens for an occasional supper, I'll plant them out again in the spring. I took my peppers in as well, and they are surviving so far despite a heavy aphid infestation (which did not affect the Malabar and New Zealand spinach), will try planting them out as well. I would be interested to know where you obtained your sea kale, cow cabbage, cardoon, and rhubarb! (I don't remember reading about cow cabbage in Eric's book, would be interested to find out more). Hi Madeleine – that all sounds great! I'll have to try bringing Malabar spinach inside next winter. And perennial peppers, fantastic. 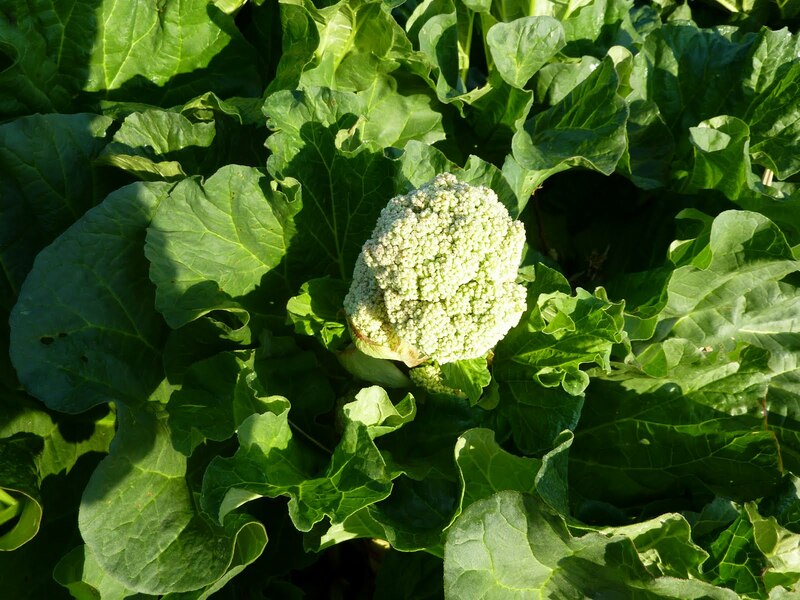 I believe I got the cow cabbage seeds from Thompson & Morgan (but the seedlings were eaten by squirrels, and a later try at perennial kale seems to have failed in this cold winter), and the sea kale from Bountiful Gardens (put “sea kale” in the search box here to read my experiences). Cardoon I've seen in a number of catalogs as well as rhubarb seed and roots. 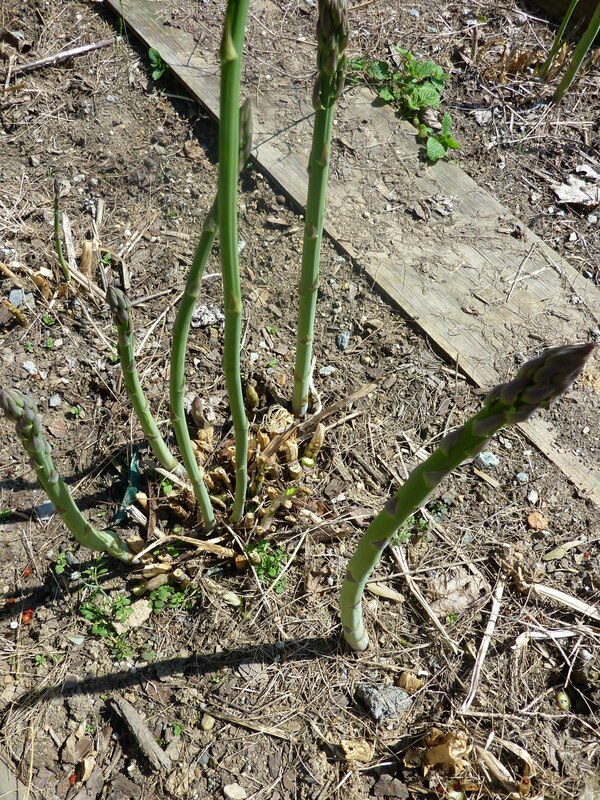 Good luck with your perennial vegetables!